If you want to preserve as much wealth as possible for your children, but you leave property to your spouse outright, there’s no guarantee your objective will be met. This may be a concern if your spouse has poor money management skills or if you two don’t see eye to eye on how assets should be distributed to your children. In both of these situations, a properly designed qualified terminable interest property (QTIP) trust may be the answer. A QTIP trust provides your spouse with income for life while preserving the trust principal for your children. By appointing a qualified trustee, you can have greater confidence that the assets will be invested and managed wisely. And the trust documents will ensure that, upon your spouse’s death, the trust assets will be distributed to your children according to your wishes. What are the estate tax advantages? Unlike most other trusts, a QTIP trust is eligible for the unlimited marital deduction. This deduction allows you to transfer any amount of property to your U.S. citizen spouse — either during your life or at death — free of gift and estate taxes. Ordinarily, to qualify for the marital deduction, you must transfer property to your spouse outright or through a trust in which your spouse’s interest cannot terminate for any reason. A QTIP trust is an exception to this rule: It allows you to provide your spouse with a “terminable interest” in the trust while still qualifying for the marital deduction. The assets will, however, be included in your spouse’s taxable estate. There are many ways you can provide for your spouse and children after you die. 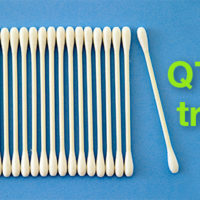 But harnessing the power of a QTIP trust might just be right for your situation. We can help you determine the best tools to ensure your estate is distributed as you desire while keeping taxes to a minimum.